Find out the steps it takes to be admitted into our program. Learn about our awesome leadership across the state and what they have to say about the program of Teen Challenge. Read about the success of our past graduates! 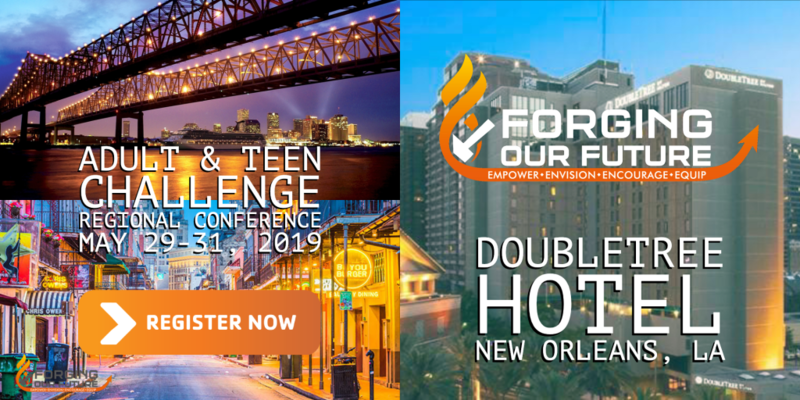 Learn about the mission of Louisiana Teen Challenge, and why it is we do what we do. See how lives are changing! After years of fighting an opiate addiction and feeling hopeless God brought me to Louisiana Teen Challenge in July of 2008. While there Jesus saved and changed my life. I am no longer who I once was. Since Completing Louisiana Teen Challenge I have earned a Bachelor's Degree in Accounting. Currently Chad works in our corporate office and is over business operations. After 12 years of addiction and two felonies, I knew something had to change. In 2007 I entered Teen Challenge lost and hopeless. In the past I had tried to do it on my own and was never successful. After a year in Teen Challenge I now not only have hope, but I have new life as well. After completing Teen Challenge, God put it on my heart to stay on as staff. Jessica came to Teen Challenge in 2011 to learn to "deal" with her addictions. While at Teen Challenge she had a supernatural encounter with Jesus! Today Jessica is completely free from all addiction! She is working in the ministry to help other women find the same freedom! Currently Jessica is the director at Mt. Grace Teen Challenge Womens center in Winnfield, La. Gary Bentley came into the Teen Challenge program in 1997 after 18 years of substance abuse and 4 secular rehabilitation centers. After losing everything because of his addictions, he was homeless on the streets of New Orleans. Today he is married to Sandy and is Chief Operating Officer for Louisiana Teen Challenge. Gary has also published a book "Rehab is not for the soul" a journey out of addiction. 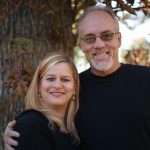 After several secular drug rehabilitation centers and a near death experience in 2005, I came to Teen Challenge where I met Christ in an amazing way and my life was radically changed. I graduated the program in 2005 and worked with the ministry for over a decade. I have since become a police officer, it has enabled me to help those lost in addiction in a different way. I am a living testimony of the power of Christ. I can show others deliverance and freedom are possible. 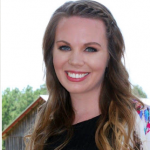 Lauren was raised in a Christian home yet by the age of 15 she was consumed with fear, anxiety, peer pressure and sinful choices which led her to using antidepressants, marijuana, and alcohol. By age 19, after being involved in a car wreck and being charged with a DUI, her parents gave her an ultimatum that she enter Teen Challenge. Through Biblical teaching, wise counsel, and tough love, they patiently guided her back to her Heavenly Father who welcomed her with open arms. Currently Lauren is a staff member at our Minden Family Center. "The Teen Challenge program succeeds when all of the government programs have failed." " Your services have aided many in learning how to lead productive and happy lives, while still others have benefited from your programs on how to avoid serious problems. I share your belief that it is vital that we teach our young people about the importance of adhering to traditional values, the dignity of work, acceptance of personal responsibility, love for one’s neighbor, and respect for the Creator. I commend you for helping to instill such values and for reminding young people that humility and resolve lead to patience and strength. These virtues, by their nature, build self-worth and dignity. Keep up the good work." " In my opinion, Teen Challenge is doing the best all-around job of providing the kids with something meaningful in their lives. And that’s what they all need. . .I thank you for your continuing support for Teen Challenge." "I've believed in this ministry since its very beginning. And I continue to support it. I consider it a real privilege to endorse this work. Thank God for Teen Challenge!'" "We have long been aware of the tremendous ministry of Teen Challenge. I consider it a real privilege to endorse this work. Thank God for places like Teen Challenge that not only understand the problem, but know God, who can set young people free and transform them into whole, useful, caring people." "Not only does Teen Challenge help our young people deal with their substance abuse, but is also gives our kids something to live for—a relationship with God, a healthy self-esteem, and a direction in their lives that finally leads somewhere. It’s going to take the all-out commitment of concerned citizens like you and me to help turn the tide of drug abuse among our kids, but for Teen Challenge to help we need your help now more than ever. A wise person once said that God’s reward for a job well done is that He always gives us a bigger job to do. We have that bigger job, and with your generosity we’ll help more of America’s youth than ever before. I sincerely appreciate your efforts to reach and rehabilitate the many young people who have, at present, no hope in life. The ministry and dedication of Teen Challenge deserve the commendation of every citizen." " I believe in the work of this great organization. A government funded research project concluded that Teen Challenge has the highest success rate in helping people move from substance abuse, off substance abuse. The ministry of Teen Challenge International, USA has helped countless individuals through its 40-year history. Teen Challenge changes the world one person at a time, by offering hope and direction to those with problems that are ruining their lives. "